In the summer of 2018, Big Picture Learning, our national parent organization, honored El Centro alumnus Ryan Rivera with their Alumni Action Award. 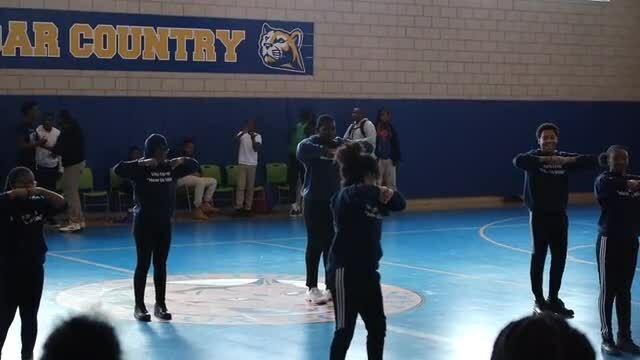 Led by Amir Barbee and Malayah Reynolds, the Vaux step team nailed its first performance as part of Kamiyah Fletcher's 3-on-3 tournament. See Shannette, Kevin, Tracee, and Anyae join Amir and Malayah, and shout-out to faculty advisor Amadi Hayes! This summer, el Centro student Justin Jacobs participated in the Philadelphia Museum of Art's Delphi Summer Teen Media Program, which "provides unique training both in the visual arts and filmmaking... The students create a portfolio of short films inspired by the Museum’s collections, public works of art and current social issues." Justin produced this music video as part of his portfolio. Given the Barra Foundation’s desire to share learning as part of the innovation process, the Foundation decided to embark on its first “thematic review” to look back across four Catalyst Fund-supported education models: Building 21, Science Leadership Academy, The Workshop School and Vaux Big Picture. During the 2017-2018 school year, ImpactED, in partnership with the Foundation, engaged in an intensive year of learning about these school models. Created by Vaux 9th graders in the spring of 2018. Project overseen by Gregory Smith, Program Coordinator at PSTV.